As I prepare to review a book on moral philosophy I feel ethically bound to inform readers that I am not a trained moral philosopher. Yet, for all its technical discussions, and despite the fact that it is written by a true expert (David Baggett), this is an entirely accessible and engaging book. The Morals of the Story reminds readers of what philosophical books can be. The Baggetts have taken on a real task in this book. The arguments for God’s existence have a rather extensive history and the challenges and critiques of such arguments are well-known. The authors focus their apologetic efforts, however, specifically on arguments from morality. The book intends to “identify, scrutinize, and defend a number of considerations that arguably weigh in favor of God’s existence” (1). In particular, this book attempts “to show that theism best explains various moral phenomena” (12). To achieve this goal, David and Marybeth will focus largely on natural theology and philosophy; their “argument rarely appeals to biblical teaching” (1). The ardent presupositionalist may find that method problematic, but there is value to this work (I commend John Frame’s perspectivalist approach to apologetics which welcomes the contributions of evidentipalists and presupositionalists). The book is broken down into three parts, referred to as Acts within the book (following the format of a story). Act One provides the broad context for the book’s argument. 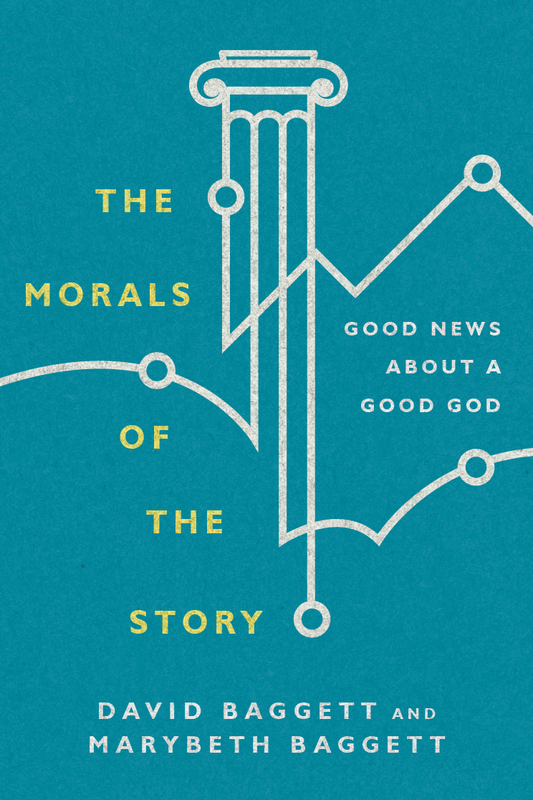 Here readers will be introduced to the author’s definition of God, the broad moral arguments that require explanation, and a brief history of moral arguments for God’s existence. Act Two is the heart of the book, as the author’s utilize the “best explanation” method to provide a defense of God’s existence. Their argument, essentially, is that God is the “best overall explanation” for the various moral phenomena of existence. Act Three wraps up the book by attempting to draw all the threads together to demonstrate that there is a “cumulative” strength in these various moral arguments that lead us to the existence of God. The book has a number of strengths. For starters, it is accessible. The authors know their content and evidence their skill and acumen in interacting with various philosophical arguments and developments. Yet, they write in a way that those less skilled can access the larger conversation. The book comes with wit, sarcasm, and a fair many punch lines. There are moments of actual hilarity in the writing which bring readers into a classroom with these two experienced college professors. Interactions with literature and culture bring an earthiness to the philosophy, reminding readers that philosophy once had practical application. It is still dense reading at times, after all these are genuine philosophical and ethical discussions. The historical survey in chapters 3 and 4 were a bit drawn out; the amount of ground covered did not provide much depth but it included many figures and arguments throughout history. These chapters will be a challenge to some readers. Overall, however, the tone of the book is much more conversational and engaging. The pedantic and technical is often saved for the footnotes. Secondly, the book’s value is in its focus. The authors are keen to argue for God’s existence, but to do so from one vantage point. Their focus provides readers with greater depth and detail in the development of an argument. Many Christians will be familiar with the broad arguments for God’s existence, especially as developed by Anselm and summarized in Aquinas’ “Five Ways.” But this book gives far more focused development on one aspect. The authors are keen to give readers tools for conversational evangelism, not simply for winning arguments. The depth of their focus will lend itself more to that end. Finally, the authors are great are providing insightful commentary. As I read the book I found myself regularly thinking deeper about a specific issue. They challenged me to obsess over a thought for a few more moments, to linger with an idea, to draw connections between various moral phenomena and the God of the Bible. Their adept ability to articulate compelling concepts makes this book a joy to read. Far too often philosophy at the academic level is interested in nothing more than historical survey. Gone is the notion that philosophy matters for life, that it helps make sense of our world and experiences. The Baggetts are helping to restore that model of philosophical education. They write in a way that demonstrates relevance and attractiveness. I enjoyed this book and commend it as a model of what philosophical writing can be like.